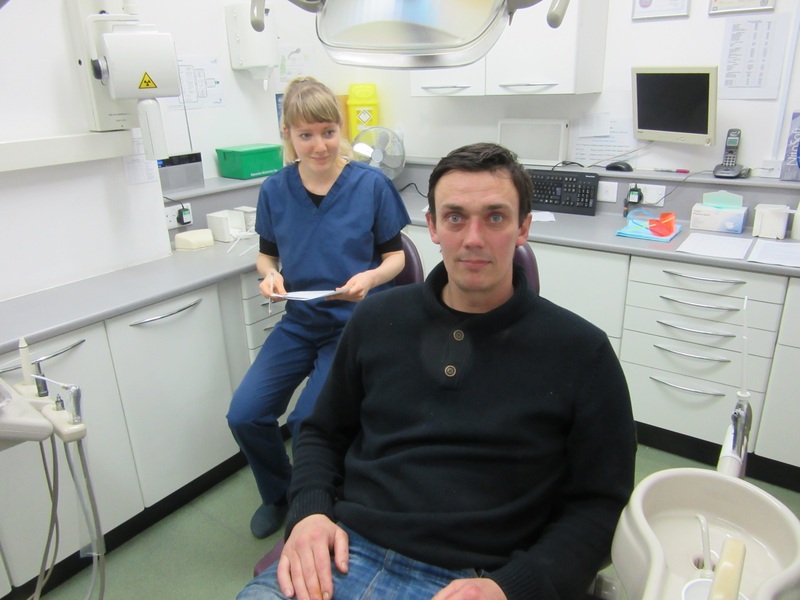 Dentaid has been working in Kirklees, West Yorkshire since December 2015. The Real Junk Tooth Project was founded after a team of local dentists discovered that homeless and vulnerable people in their community were not able to eat the free food provided by a soup kitchen because their dental pain was so severe. There were long waiting lists to register with an NHS dentist and people were struggling to access emergency dental services. In response, a local practice opened every Thursday evening offering emergency treatment for people who were suffering dental pain and weren’t registered with a practice. Patients didn’t need an appointment and only paid if they could afford to. The project was a huge success and ran for 7 months thanks to a dedicated team of volunteers. 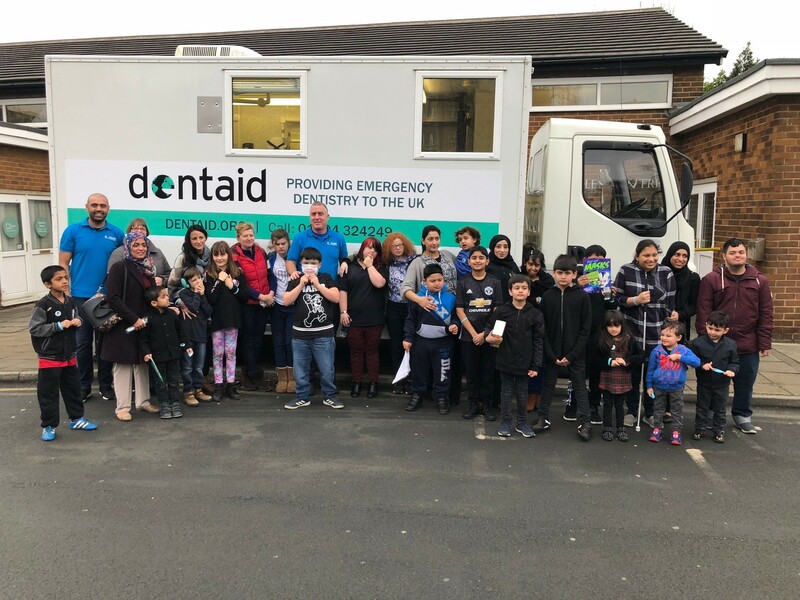 Once Dentaid purchased its mobile dental unit, we returned to Kirklees to run a number of public access clinics in schools, community centres and Dewsbury town hall. These were open to anyone who was struggling to access dental treatment and our team saw up to 35 patients a day. The first patient needed 5 teeth to be extracted and had been suffering from toothache for two years. Dentaid also became aware of patients who had attempted to remove their own teeth. Thanks to a grant from Kirklees Council Dentaid and the support of local foundation dentists, Dentaid continues to run regular free dental clinics for communities in Kirklees. In addition to our outreach dental clinics, the mobile dental unit has also visited schools in Kirklees and support groups for children with special educational needs. Hundreds of children have benefitted from a fluoride varnish programme and the unit has been used for oral health promotion events at Sensory World – a centre for autistic children – and the Down’s Syndrome and Friends support group. 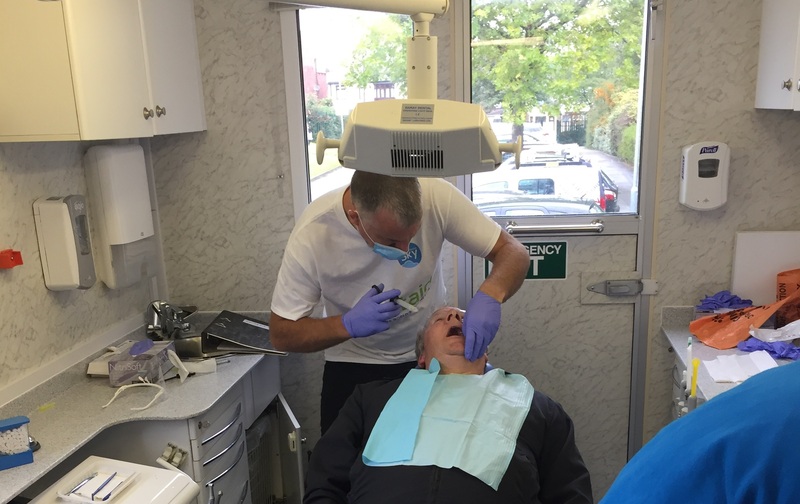 The mobile dental unit has also been used for specific clinics for homeless people in Dewsbury and the surrounding area.